WBJEE 2019: West Bengal Joint Entrance Exam (WBJEE) is a State Level Engineering Entrance Exam managed by the West Bengal Joint Entrance Exam Board (WBJEEB) for admission providing in various government & private engineering colleges of West Bengal state. Latest Update: Today is the last date of WBJEE 2019 Application form. Hurry up and Apply Online. 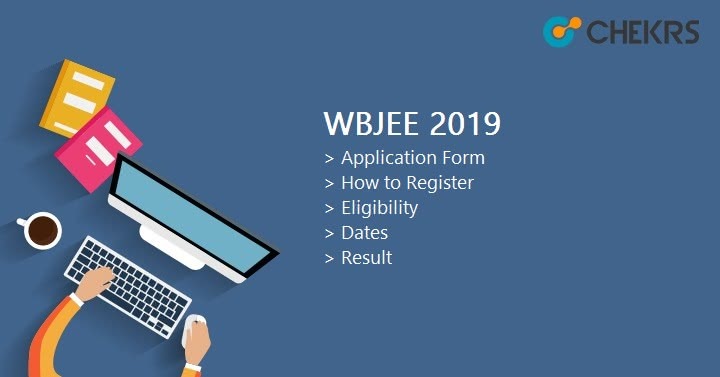 Latest Update: WBJEE 2019 Application form is now available Online. Check the Dates, Procedure Below and Fill the Application Form. Latest Update: WBJEE 2019 Notification released recently. Check the Complete Schedule Below in the table below. WBJEEB organizes this examination every year in the month of April/May. Interested and Eligible candidates can apply for the WBJEE 2019 Application Form. This exam provides admission to eligible candidates into various undergraduate programmes like Engineering & Technology, Pharmacy, and Architecture etc. Students can check all the important information from this article. Go through this article to check out the details like how to register, exam dates, eligibility etc. Dates are not announced, but we are providing you expected dates related to WBJEE Admission 2019 based on previous year dates. Check the West Bengal JEE 2019 Schedule here. WBJEE Board has decided certain rules for the candidates appearing in the WBJEE Exam. These rules are called as eligibility criteria. Candidates must fulfill all the WBJEE Eligibility Criteria. Applicants who will not follow the eligibility criteria will not be considered for the entrance exam. Given below are the eligibility criteria defined by WBJEEB. He/ She should be minimum 17 years as on 31.12.2019. There is no maximum age limit. For Marine Engineering, upper age limit should be 25 years as on 31/12/2019. 12th or equivalent exam appearing students can also apply. Must pass 10+2 or equivalent exam from recognized board. Candidates have secured minimum 45% marks in 12th (5% relaxation form SC/ST/OBC & PwD). Candidate should have subjects like Physics, Chemistry, Mathematics & English in class 12th. For Pharmacy, Biology as a compulsory subject in 12th. West Bengal JEE Application Form will be commenced from 3rd week of December. Application form will be filled through online mode only. The Board authority will also provide facility to correct the application form. The last date to fill in and correct the WBJEE Registration Form/application form is given in the above table. Check the following procedure to fill the application form. Click on the given link ‘Apply for WBJEE 2019’. Fill all the details like personal information, educational qualification etc. Upload scanned photos & signature. At last pay the amount as application fee through online mode (Credit Card/Debit Card, Net Banking). The Exam Pattern is purposed by the WBJEEB. Candidates must know the WB JEE Exam Pattern to know the details about the exam. It will help you to attempt the paper in a better way and score good marks. Paper will be conducted in offline mode only. For Category 1 & 2, ¼ marks will be deducted for each wrong answer. 1 Marks will be given for each correct answer for Category 1. For Category 2 & 3, 2 marks will be given. Total time to complete the paper will be 2 hrs. Candidates who want to take WBJEE entrance exam should prepare according to WBJEE Syllabus. The syllabus will be prepared by WBJEEB and will be available on the official site. The syllabus will be different for engineering & pharmacy. It will be comprised of subjects like Physics, Chemistry, and Mathematics. Biology will be compulsory for pharmacy students. The syllabus will cover all topics from class 11 & 12 of respective board. WBJEE 2019 Admit Card will be available online from 2nd week of April. WBJEEB will upload the admit card on the official website i.e. www.wbjeeb.in. Candidates can download their admit card after release of WB JEE Hall Ticket. Candidates must bring admit card during the examination. Without admit card no one will be allowed to enter in the exam hall. Also, carry Identity Card such as Aadhar Card/ Pan Card/ Voter Id/ School–ID. The Answer Key will be released after conducting the examination. Candidates can file complain or challenge for the wrong official WB JEE Answer Key 2019 also. Challenge will be accepted with proof and have to pay Rs.500/- through online mode only. After submitting the challenge, the authority will recheck answer and evaluate it. After evaluation, final answer key will be published on the WBJEEB portal. WBJEEB authority will publish the result of WBJEE entrance exam in the month of June. WB JEE 2019 Result will be available online and candidates will be able to download it from the official website. There will be link given to download ‘WBJEE 2019 Result’. Enter the required details like Name of Candidate or Registration no. After entering the details, Result will appear on the screen. WBJEE 2019 Cutoff will be decided by exam authority of WBJEEB on the basis of various factors like Seat availability, marking scheme, the difficulty level of paper, reserved categories, previous year cutoff etc. On the basis of declared cutoff, WBJEEB will prepare WBJEE Merit List / Rank list 2019. Candidates will get rank in the merit list on the basis of marks obtained in WBJEE Entrance Exam. To get rank in merit list students have to score the cutoff marks. WBJEE 2019 Counselling will starts after the declaration of Result, Cutoff & Merit List. It will starts from the 4th week of June onwards. Students will get SMS or mail from the WBJEE for counselling process. They have to report at the counseling venue with the WBJEE Allotment Letter / counseling letter. Candidates participating in counselling will be provided seats. I have completed my Diploma. And I haven’t 10+2. Am I eligible for the exam? Prashant diploma is equivalent to 10+2, so you can apply for wbjee 2019.